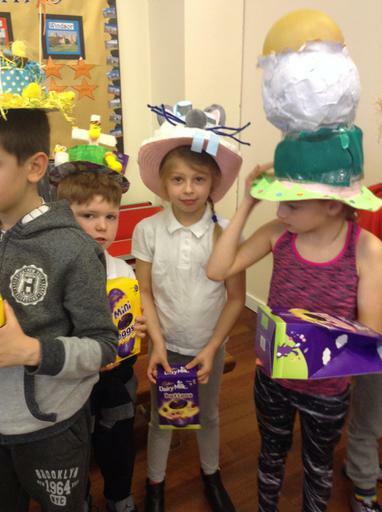 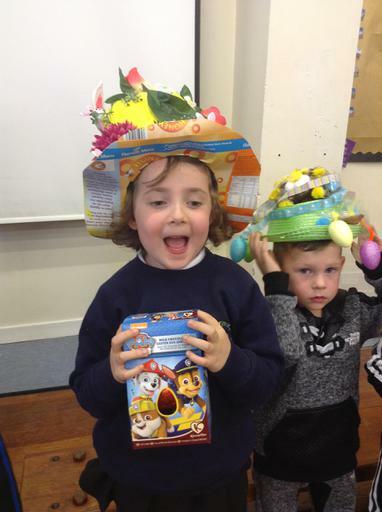 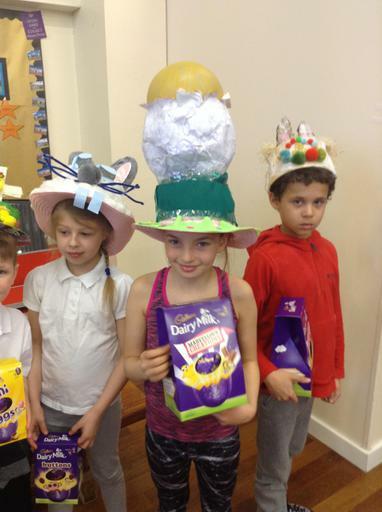 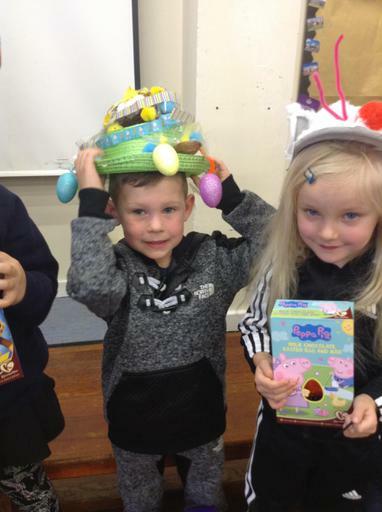 This year's Easter bonnets were brighter and more imaginative than ever. 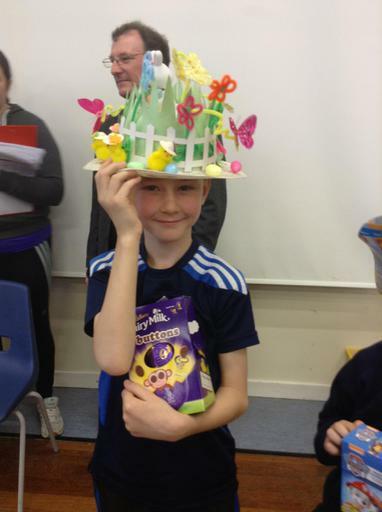 We are overwhelmed by the creative efforts of all the children who took part. 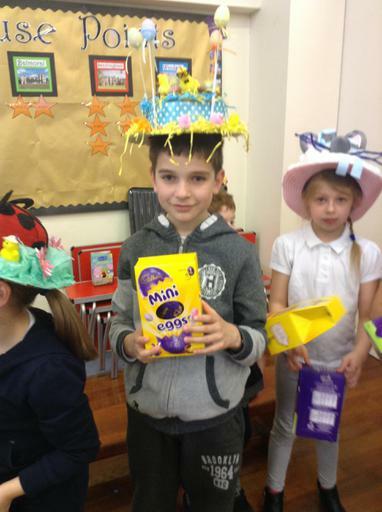 To help us decide this year's winners, we invited Pastor Burwell back to judge the bonnets. 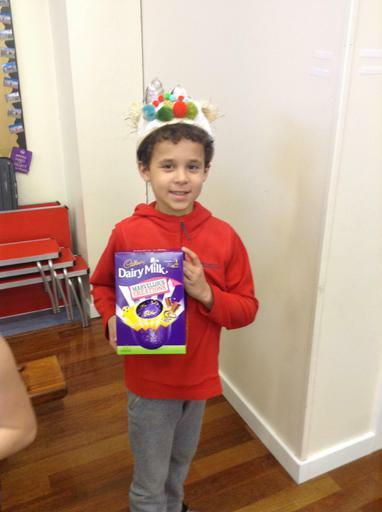 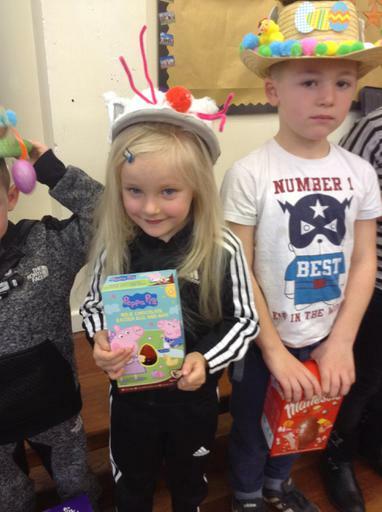 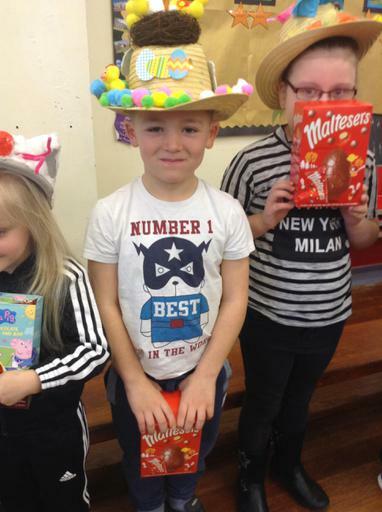 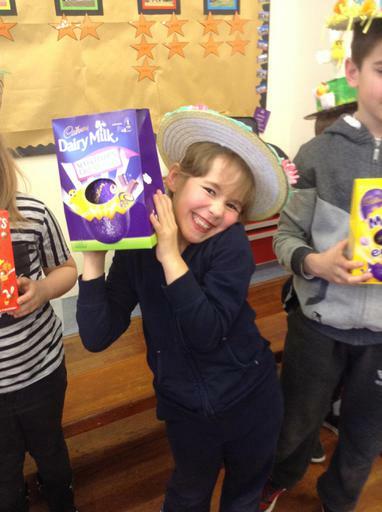 Our winners were very happy with their chocolate prizes.